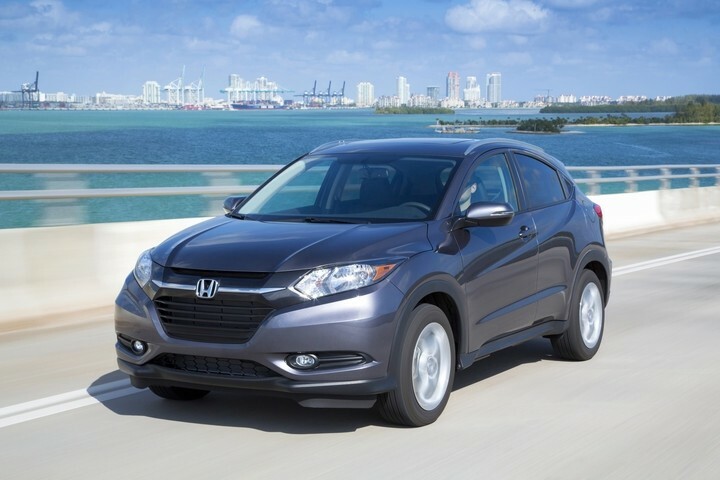 If you are in the market for an impressive crossover that has been designed and built for the average American family on the move, the HR-V may be just what you are looking for. While it might seem small yet sleek on the outside, it is expansive in space on the inside with second-row seat cushions designed to fold up and give you a long narrow cargo space leading up to and between the front seats, perfect for that big flat screen TV or bicycle. The best way to see all that the 2017 Honda HR-V LX for sale in Fontana, CA has to offer is to come into Rock Honda and take one out for a test drive. We are proud to serve our customers in Fontana, San Bernardino, Rancho Cucamonga, and the Inland Empire. We have a large inventory of these amazing crossovers ready for you to look at and take one home today. As you browse through our 2017 Honda HR-V LX inventory near San Bernardino, CA, one of the first things you can’t help but notice is that it features the “Honda Magic Seat®”. The only other Honda vehicle to have this unique seat is the Fit. This is a 60/40 split seat that not only folds down for added storage, but you can fold the seat cushions up to create a long, narrow cargo lane that is big enough to allow you to slide a big flat screen TV up to the front between the rear and front seats. There are even more features in the interior of every 2017 Honda HR-V LX for sale in Fontana, CA that will surprise you. The front seats are easy to slide into thanks to the high roofline and large doors that open wide. In the rear passengers will find plenty of legroom for average size adults, which helps to set the HR-V apart. The entire interior is crafted from superior quality materials with controls that are easy to reach from the driver’s seat. Every trim level of the 2017 Honda HR-V LX for sale in Fontana, CA comes equipped with the same four-cylinder engine. This is a 1.8-liter inline four-cylinder that produces 141 horsepower and 127 lb.-ft. of torque. The standard transmission is a six-speed manual gearbox with a hydraulic clutch. For those who prefer driving to be less stressful, there is an optional Continuously Variable Transmission (CVT) available that offers silky smooth shifting. 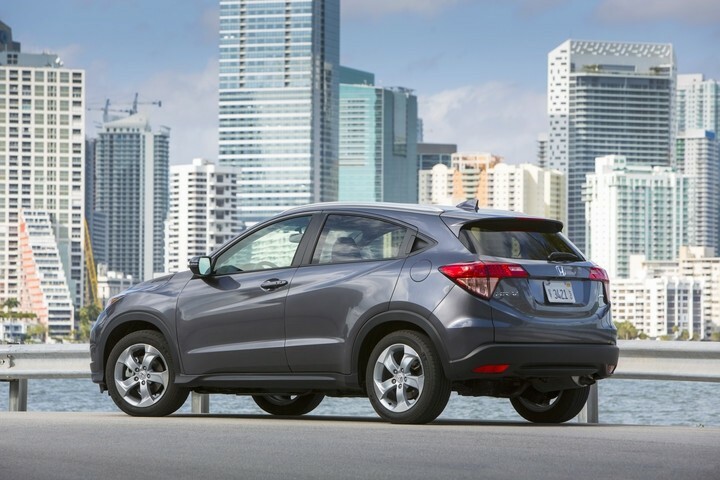 The HR-V LX is available with front-wheel or all-wheel drive. The best way to fully comprehend the 2017 Honda HR-V LX is to come on in and test drive near San Bernardino, CA today, here at Rock Honda in Fontana, CA. Be prepared to fall in love and drive one of these incredible crossovers home with you!